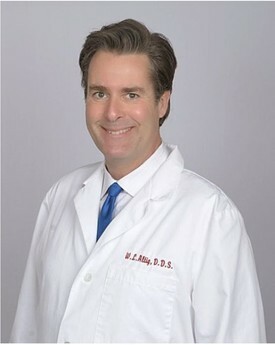 Dr. Altig was born and raised in Southern California. He graduated from Moreno Valley High School in 1988. He attended and graduated from the University of California at Riverside with a Bachelors degree in Psychobiology in 1993. He graduated from USC School Of Dentistry in 1997 and was a member of Psi-Omega dental fraternity. He practiced dentistry in Southern California for a few years until moving from Huntington Beach, California to the Sacramento area in the summer of 2000. Dr. Altig married his beautiful wife Shanon in July, 2000 and they just celebrated their 18th Anniversary. He lived in the Lincoln area for several years and just recently moved to Rocklin. Dr. Altig has three beautiful girls; Quinlyn(27), Anja(17) and Chloé(16). Both of their younger daughters attended Lincoln High School and are members of the swim team. Their oldest daughter Quinlyn is 3 years happily married to a fine young man, Stephen Davis. They are blessed with one child, our granddaughter Bella who just turned 1! Dr. Altig enjoys spending time with all my family as well as traveling and playing golf when not busy with family.